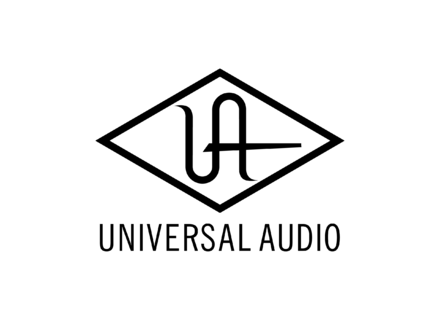 Universal Audio Precision De-Esser - "Got sibilance? Get this..."
Universal Audio SSL E Series Channel Strip Plug-In - "The famous SSL cannel strip as plug-in..."
Universal Audio Neve 33609 - "Super flexible compressor/limiter plug-in"
Universal Audio Precision Limiter - "My favorite limiter..."
Universal Audio Manley Labs Massive Passive EQ - "a wonderful unusual EQ..."
Universal Audio RE-201 Space Echo - "The "other" famous tape delay..."
Universal Audio SPL Transient Designer - "So simple, so effective. Don't know how I ever lived without it..."
Universal Audio SSL G Series Bus Compressor Plug-In - "Ideal for guitars and drums..."
Universal Audio Trident® A-Range Classic Console EQ Plu… - "Simple yet sophisticated...."
Universal Audio EP-34 Tape Echo plug-in for the UAD-2 - "The king of all delays..."